In an age when the world's population is growing, electricity consumption is increasing drastically, and global warming is already knocking on our doors, there is no escape from a fundamental paradigm transition in global electricity generation and Transmission. We promote unique regulation for 24/7 local energy and management by diverse storage technologies and regional microgrid. The microgrid will be connected to the national grid for backup and provide availability according to system requirements. We established a technological incubator and VC for early-stage Israeli innovation in the fields of electric transportation, storage, efficiency, smart grid, and solar enablers. All these and more have led to a unique model of sustainable regional development in a prefrail region, where there is lack of interest, investors and facilitators. This field of activity has also developed related fields, out of the understanding that the geographic conditions in the area should be a resources for unique opportunities. Dorit Davidovich Banet, co-founder and CEO of Eilat-Eilot Renewable Energy Initiative for the last 12 years. The initiative demonstrates a model for implementing renewable energy production with the advancing and all necessary components while generating substantial regional development. The activities include: Leading the process of construction the largest decentralized power station in Israel, which includes 17 solar power stations of various sizes that provide 70% of the electricity of the largest tourist city in Israel during the daytime, Establishment of R&D & innovation center including pilot projects & startup companies (one of the leading incubator for cleantech in Israel), branding and advancing suitable regulation and managing the only international energy conference in Israel. The initiative has received wide recognition by the government and the public in Israel and globally. 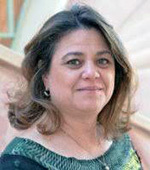 Prior to this position, Dorit was the founder and the head of the environment unit at the Eilot Regional Council and Eilat town for eight years. Among her activities were, supervising, advising and policy designer regarding urban planning, swage, marine ecosystem, hazardous materials in industry, education, public awareness. Dorit holds a master’s degree in geomorphology from Ben-Gurion University, focusing on stratigraphic issues and earthquakes. She holds a BA in geography from Haifa University.